We also offer valet parking. 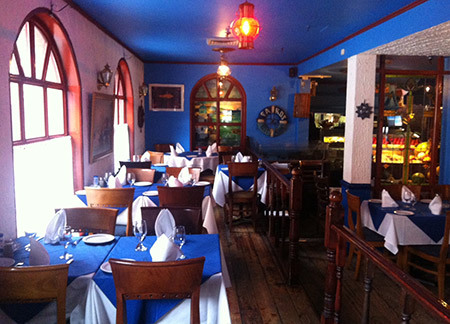 Faros seafood restaurant is located on 362 Fairmount West in the heart of Montreal. Inside Faros you will find yourself transported through time to a Greek style psarotaverna (fish tavern) complete with authentic decor. With a seating capacity of 68 people inside and a seasonal terasse outdoors, your stay with us will be an experience in Greek fine dining.